For my husbands birthday a few weeks ago – I wanted to make a special completely homemade dinner – and I had a lot of fun with it. 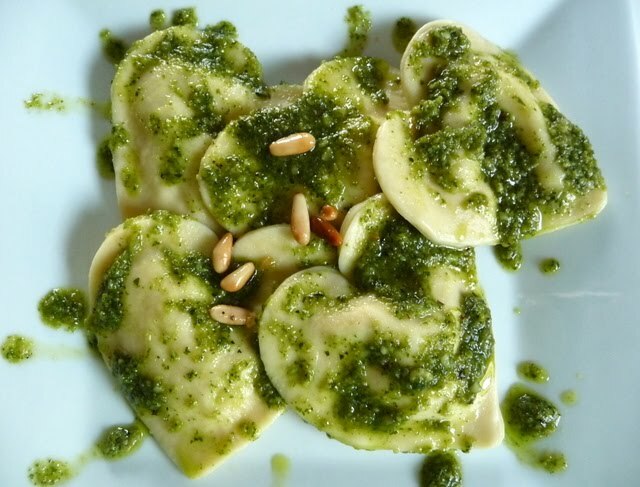 It included these heart shaped ravioli, pesto, focaccia, brownie pudding and ice cream! 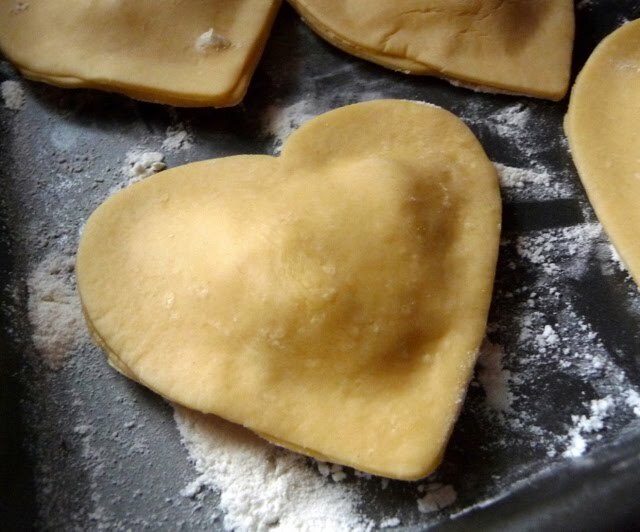 These ravioli were surprisingly easy to put together – but I am not going to lie – it definitely took awhile to make the pasta, roll it out and cut out all of the hearts. But in the end – it was delicious and worth it – I would definitely make this recipe again! 1. In a medium mixing bowl, combine the ricotta, mozzarella, fontina, parmesan, garlic, and spices. Mix well to blend and set aside. 2. Roll out homemade pasta into long, thin sheets. 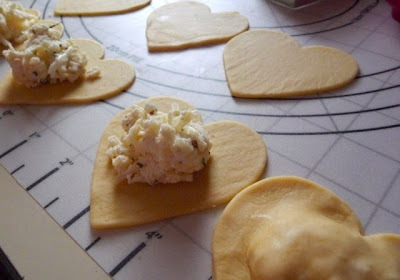 To make heart-shaped ravioli, use a heart-shaped cookie cutter to cut out pasta shapes. 3. Place about 2 teaspoons of filling in the middle of half of the heart shapes, leaving a clear edge around the perimeter. 4. Dip a finger in water and lightly brush around the edges of a heart topped with the filling. 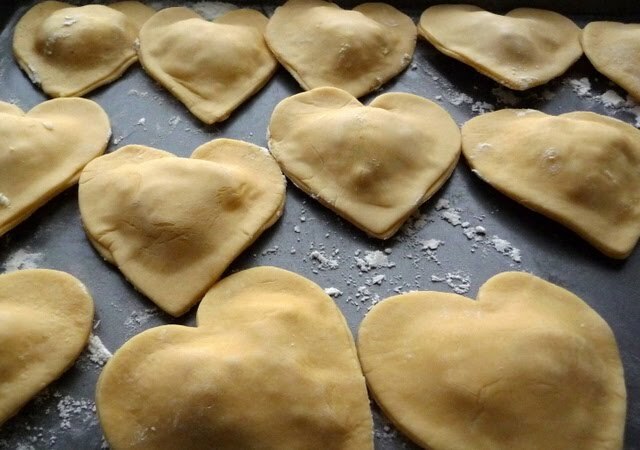 Place one of the remaining pasta hearts on top and press the edges of the pasta shapes together to seal around the filling, being careful to press out any excess air. Repeat with the remaining dough shapes. 5. Bring a large pot of salted water to boil. Cook the ravioli until al dente, about 5 minutes. Beautiful heart-shaped ravioli. Love the sauce too. Thanks for sharing.